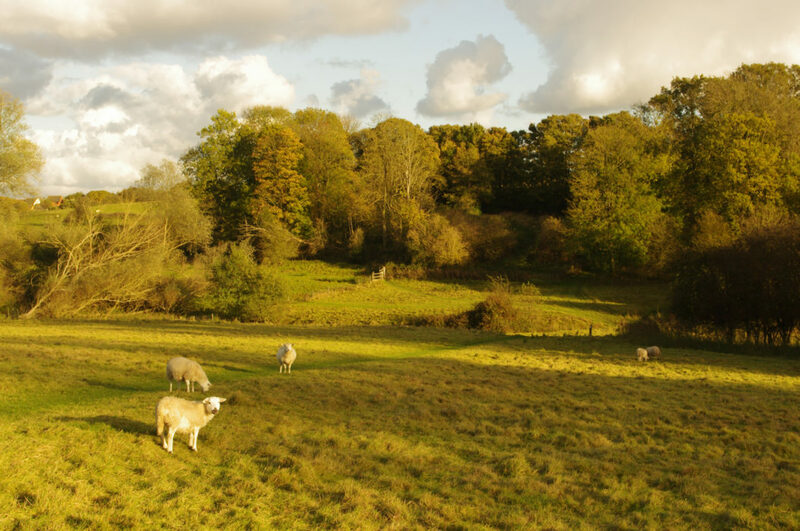 It’s a land of tranquil river valleys, ancient green lanes, an undiscovered coastline and some of the prettiest villages in the nation. It is, says author Peter Aylmer, Essex. Think I exaggerate? Well, beauty is in the eye of the beholder of course. I’m not pretending that the Essex Way matches the Pennine Way or Cape Wrath Trail for grandeur, but there’s much to admire on this, the oldest of all of England’s county trails. It will be 50 in a couple of years, and so little has development impinged on the route, that there has been no significant change to its course in all that time. 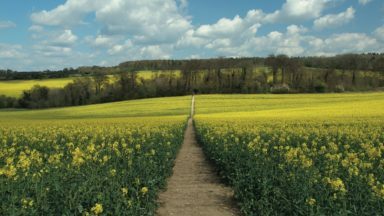 Although many locals (which includes several million Londoners) will find it easy to walk the Way in day chunks of their own choosing, any long-distance path is best appreciated in one swoop. 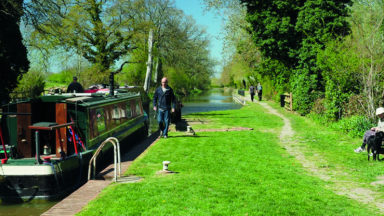 The route described here, and in my book, Walking in Essex, can easily be completed in a week or so by regular walkers. 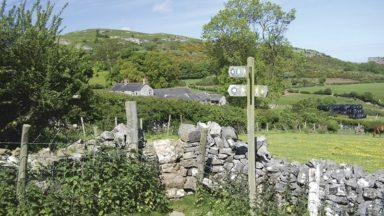 The 81 miles of the Way are very good in showing off all the landscape types of the county, save for the chalklands of its north-west (a pity) and the urban sprawl of the south (no loss). 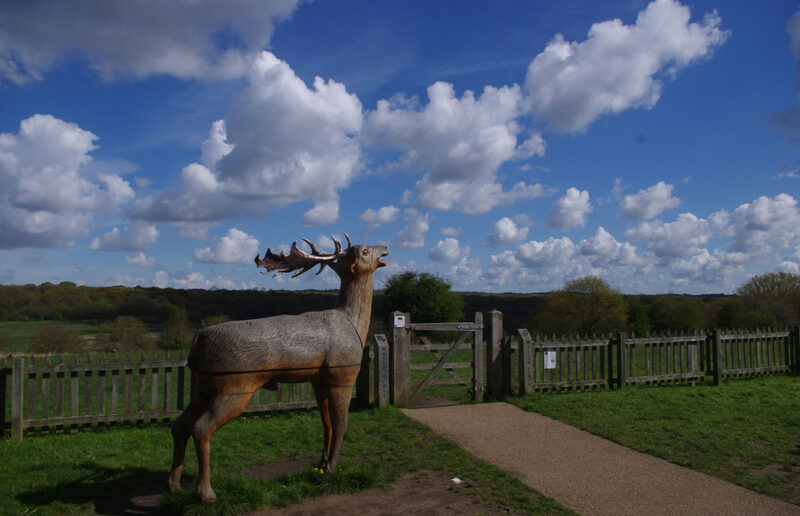 With its start in Epping, on the far reaches of the London Underground, it misses out on forest too, but that’s easily remedied by prefacing it with a 15-mile walk through the length of Epping Forest, starting at Manor Park on the edge of London’s inner city. While much of the forest has been officially in London since 1965, historically, and in many ways still emotionally, it’s still Essex land. 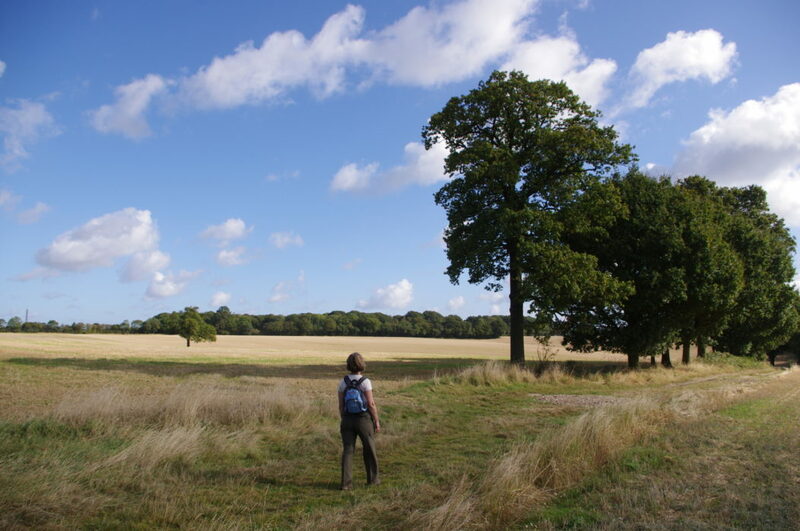 The forest is such a great survivor, site of one of the first great struggles for access to the countryside, that it’s a perfectly appropriate predecessor to the Essex Way itself. Step out of Manor Park station, just five miles from Liverpool Street, and look to your right: an unpropitious east London high street, with perhaps too many fast food joints. But look left, and just over the road there’s the furthest incursion of Epping Forest land into inner London. 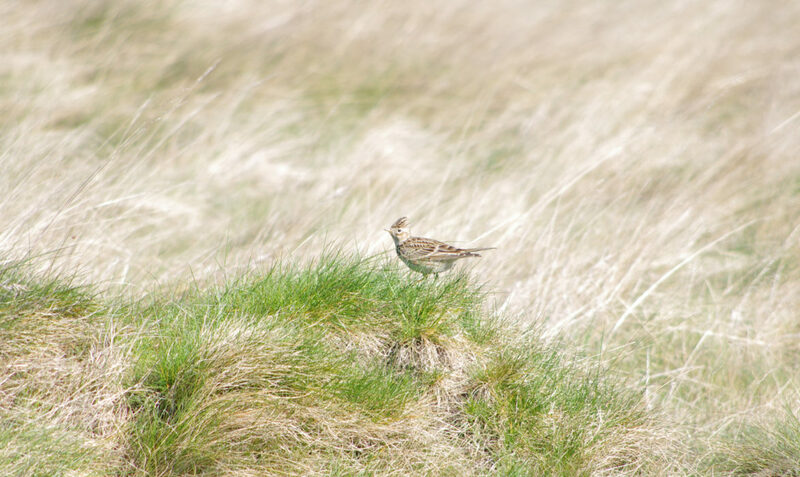 You’re on Wanstead Flats, soon crossing grassland that is home to 1500 species of wildlife including nesting pairs of skylarks and meadow pipits. After its neighbour, Leyton Flats, you’ll soon plunge into almost continual tree-cover. 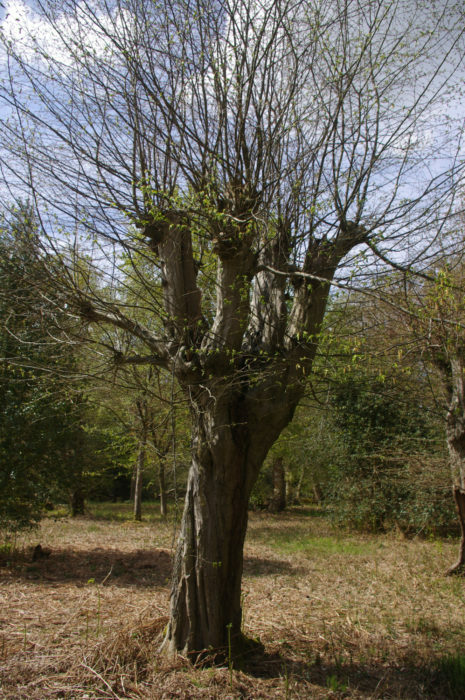 And what trees they are, with oak, beech and hornbeam predominant, many centuries old, with pollarding a staple of forest management. But their survival was a close-run thing. 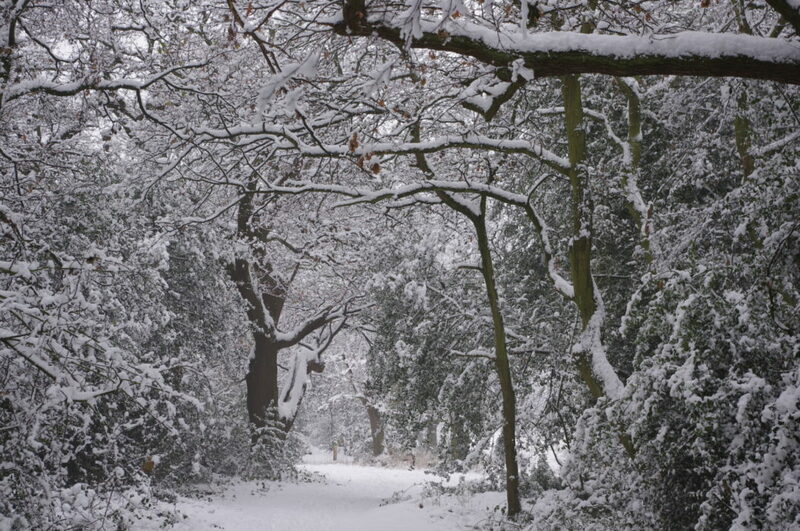 In the 1850s, nearby Hainault Forest had been declared waste and was largely cleared within weeks. 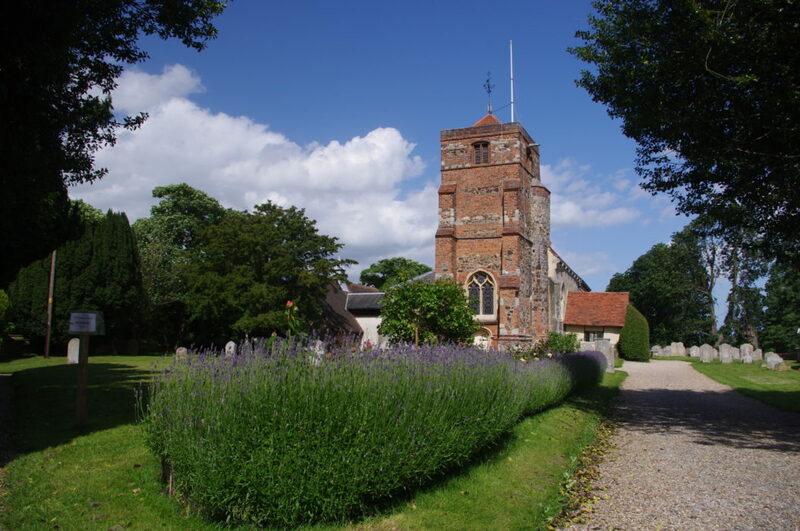 A decade later and with the railway now at Loughton, the Lord of the Manor – the local vicar – started enclosing the land with a view to speculation. He might have expected an easy ride, but the worm of destruction was turning as the value of retaining London’s heaths, woods and commons for the recreation of its burgeoning population was increasingly recognised. It was a long struggle involving the imprisonment of locals, but the 1878 Epping Forest Act, still in force, safeguards the forest to this day. It’s a long and thin forest, on a slowly-rising gravel ridge between the rivers Lea and Roding, and you will be within its heart all of the time. Enjoy a mid-walk break at Queen Elizabeth’s Hunting Lodge – built for her father, Henry VIII – then check out the view over the valley of the Lea from High Beach, before passing along the Green Ride, on which Queen Victoria was to pass in celebration of the Act (although, alas, rain prevented the royal progress). A mile before the forest ends, the remnants of Iron Age hill fort Ambresbury Banks bring with it the realisation that our pre-historic ancestors had succeeded felling trees that the vicar of Loughton could not. Countryside begins one cul-de-sac down from Epping station. Soon you’re on the first of the Essex Way’s green lanes, this one a short affair on the way to the first of the Way’s country pubs, at Coopersale Street. 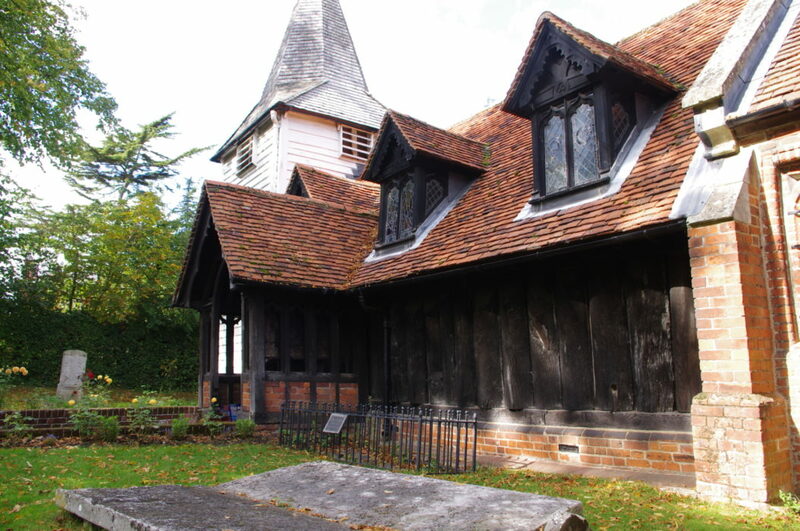 A bit further on is Greensted church, nothing less than the oldest wooden church on Earth, the timbers of its nave dating from 1053. Pause here, but lunch could be reserved for Chipping Ongar. In late Victorian times its railway station – now closed, but with a heritage line operating – saw a boom as special trains brought livestock farmers and all their stock from southern Scotland to rescue the county’s farming industry from an 1880s slump in arable farming. A riverside interlude beside the Roding leads to the churchyard at Willingale, home to not one church but two. The more recent was born out of the 14th-century wool trade – or, if you prefer the legend, the falling out of two wealthy sisters who could not abide sitting in the same pew. 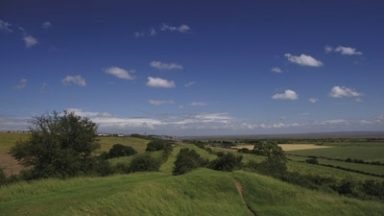 From here the Way treads many miles along ancient green lanes, of which Essex has more – 450 miles – than any county bar Dorset. Sheltered by tall hedgerows that sometimes form a canopy above you, cool in summer and sheltered from winter’s winds, they are remarkable survivors. They bring you to another survivor, the village of Pleshey, which to this day sits within the 40 acres enclosed by the outer rampart and ditch of the Norman castle. The castle had a bit part in Shakespeare’s Richard II; the King had made an enemy of its owner, the Duke of Gloucester, and tricked him into exile and death, and Gloucester’s widow laments the castle’s decay to ‘empty lodgings and unfurnished walls’. Soon you are crossing the park of the great Queen Anne-period house of Langleys, dropping down to cross the river Chelmer. The next few miles of the Way take us over low watersheds between this and three other interior rivers of Essex, the Ter, Brain and Blackwater. 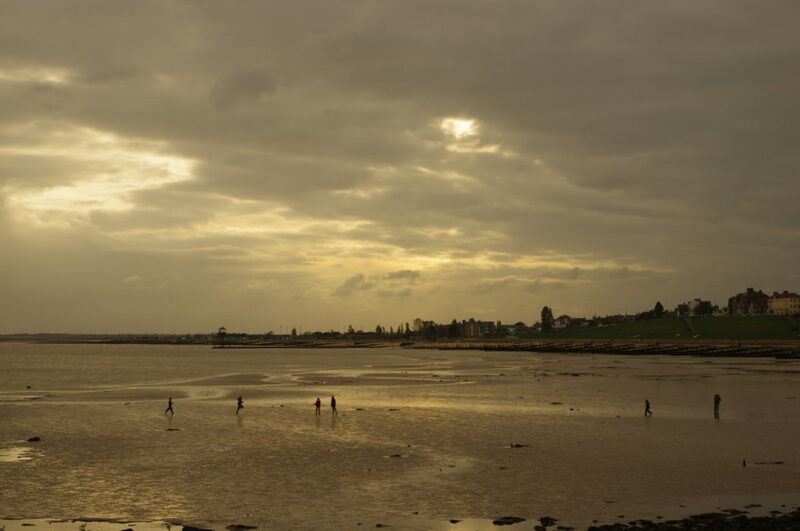 These are all the ghost of the Blackwater estuary, the central of the five great estuaries of Essex, which between them help explain the length of the coastline. Not far from the Ter is Wright’s Timberyard, home to the principal suppliers of willow to cricket bat makers the world over. 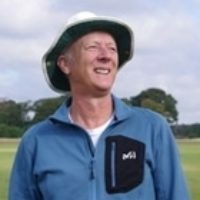 It’s comforting to think that the batsmen at this year’s World Cup might be protected from a 90mph assault by wood from the meadows that the Way takes you through. 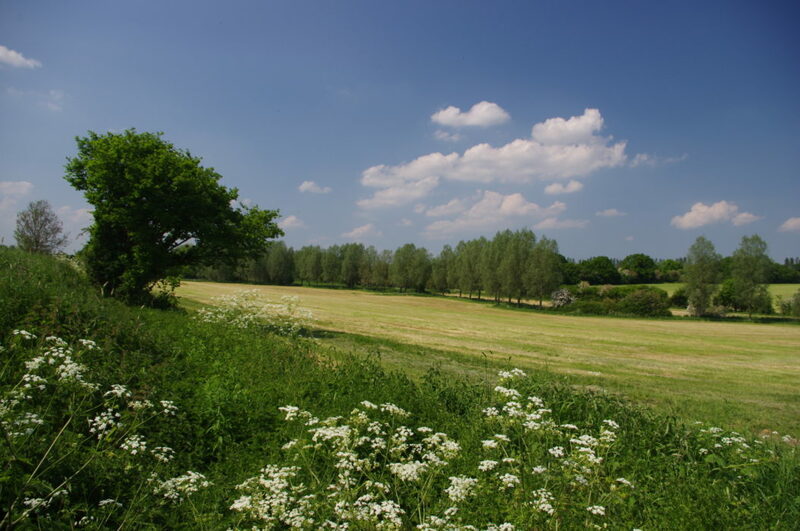 You enter the wonderful small town of Coggeshall by the terraces above the Blackwater, and here the developers of the Essex Way – Fred Matthews and Harry Bitten of the West Essex Ramblers, who created several other Essex trails still in use today – had a problem. 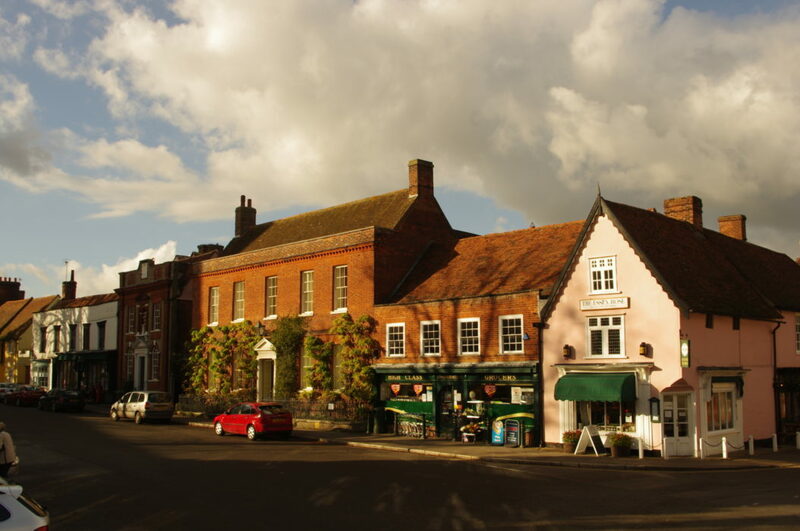 Coggeshall is one of the unknown masterpieces of the small English town, like Willingale, which was once rich on the wool trade. 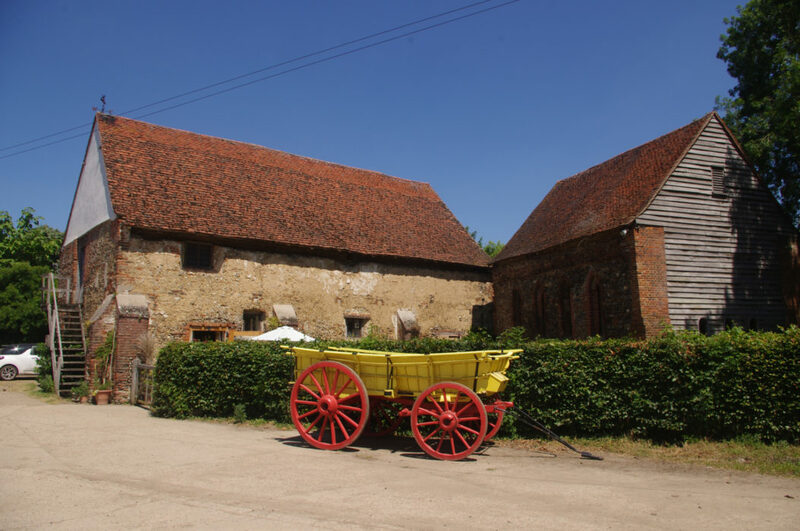 It has one of the great wood-built Essex barns – vernacular architecture in which the builders of Essex excelled – a ruined priory, a wool church of distinction and streets lined with listed houses, culminating in the half-timbered exuberance of Paycocke’s, now tended by the National Trust. Matthews and Bitten simply couldn’t take the Way past everything, and sacrificed the core of the town, but it’s worth spending a bit more time here so that you can take it all in. 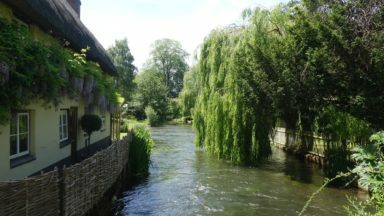 Beyond Great Tey – home to a contender for the most attractive pub garden in Britain – there’s another river in sight, the Colne. It’s a different river-system to those before, flowing through Colchester to its own estuary, and the Way stays close beside it for many miles. 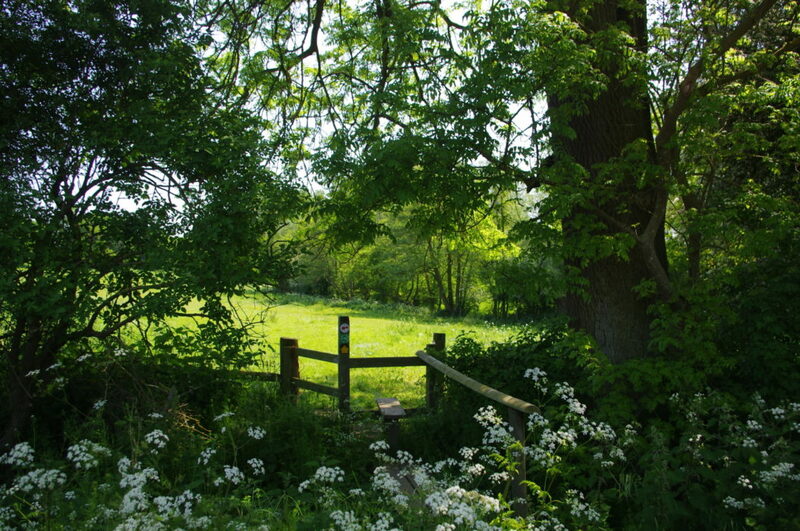 Some of those are through the Fordham Hall Estate, donated to the Woodland Trust in 2002, who have restocked the meadows through which you will pass with grass and wild flowers for grazing and hay-cutting. Up to another watershed, at Great Horkesley. Beyond lies the Stour, the final river of the Essex Way, flowing through an Area of Outstanding Natural Beauty. The Stour forms the northern border of Essex; Suffolk being on the other side. Two of England’s great painters, Thomas Gainsborough and John Constable, grew up in this valley (perhaps inconveniently for this narrative born on the other side), but certainly well aware of the opportunities that the light and shade of this beautiful river provided then – and still do – for anyone with a painter’s eye. Constable certainly returned time and again to villages like Langham and Lawford, both visited on the Essex Way, for scenes we can still recognise today. In between the two lies the large village of Dedham, where Constable went to school and many other artists have flourished. Dedham was home to Sir Alfred Munnings, the greatest English horse painter to George Stubbs – his home is now a gallery – and Tom Keating, perhaps the most effective art forger ever. The East Anglian School of Painting and Drawing, which Lucien Freud attended as a young man, was set up here in 1937. Beyond Lawford, the Essex Way drops down to the tidal estuary of the Stour, at Manningtree. It’s a town with an unfortunate connection, home to Matthew Hopkins, self-appointed Witchfinder General of the 17th century – 29 hangings at one 1645 trial alone in Chelmsford. He is buried in Mistley churchyard, the next village down the Stour. 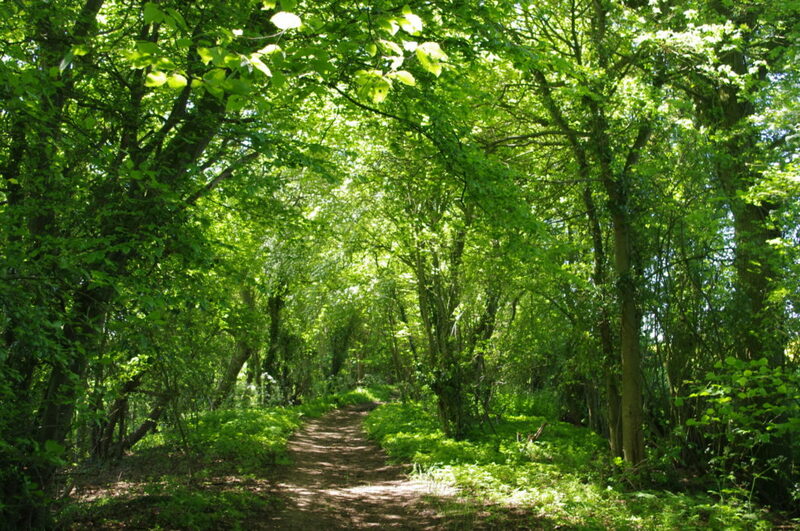 Here the Way turns briefly uphill into woodland, the right-of-way taking you directly through the sweet-smelling Mistley Maltings, whose products flavour many a fine local ale. Back by the Stour, and you can just catch a glimpse of A House for Essex, the work of that undoubtedly Essex artist, Chelmsford-born Grayson Perry. Known also as Julie’s House, it tells the story of a contemporary Essex woman, both challenging and subverting the unfortunate stereotypes that the lazy like to spout about the county. A path leads up to the house, and the really keen can hire it as a holiday home. The house sits between two nature reserves that help to safeguard the important over-wintering sites of the estuary for birdlife. 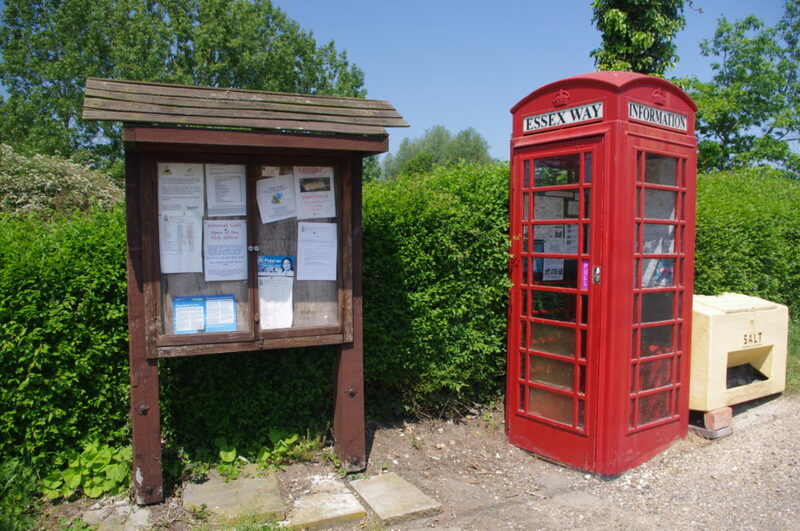 The Essex Way heads uphill through the second of these to cross the Tendring peninsula for the coast. It’s good to have a glimpse of the sea after so many days of inland walking. 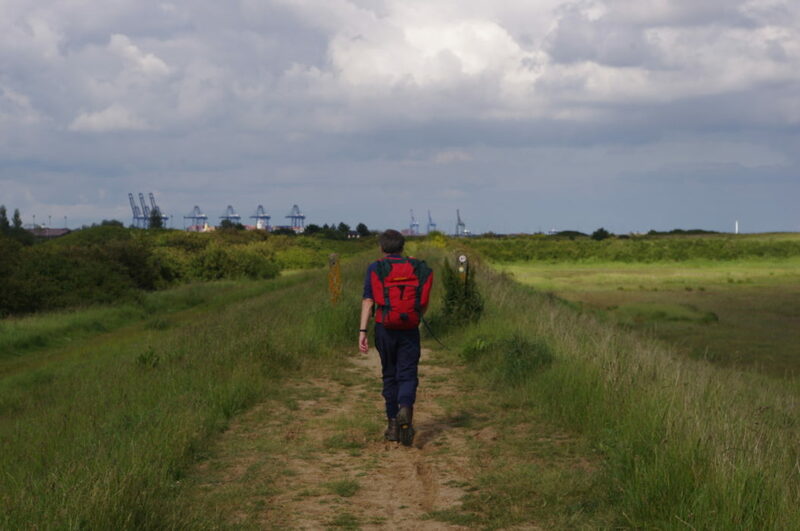 The Essex Way gives, in all honesty, the merest glimpse of Essex coastal walking – there’s just a mile until the prom at Dovercourt is reached – but it’s enough to give a taste of what lies beyond. 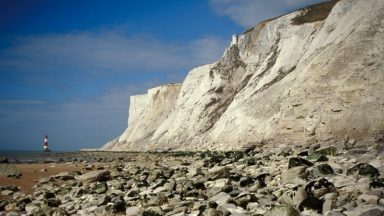 For it’s a typical mile of the many hundreds further south, dyke-top walking with salt marshes on the coastward side and borrow-dyke on the landward. If it’s enough to hook you, come back, say to the fractal tangle of marshes around Tollesbury, or the 14 miles without habitation – perhaps, the longest such coastal stretch in England – running north from the sleepy yachting town of Burnham-on-Crouch. And there’s nothing wrong with coastal walking along a prom. You might be quite looking forward to it, past the beach huts – two rows deep – with ice cream on offer and the chance to air your hot feet in the sandy foreshore of the sea. 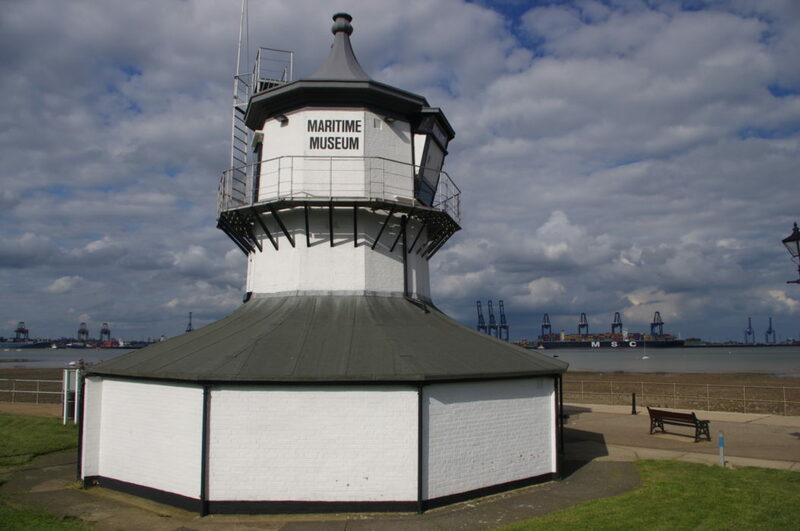 You’ll pass the two cast-iron lighthouses of 1863, built to replace the High and Low lighthouses of Harwich proper, which you will soon come to. The prom ends; the route curves, towards a harbour breakwater; and suddenly, there’s a new view. Container ships, some of the largest in the world, across the water in Felixstowe. It’s an awe-inspiring sight, quite unlike that of the end of any other long-distance path I know and, as a sudden shock to get you back into the real world after your days of reverie, it takes some beating. 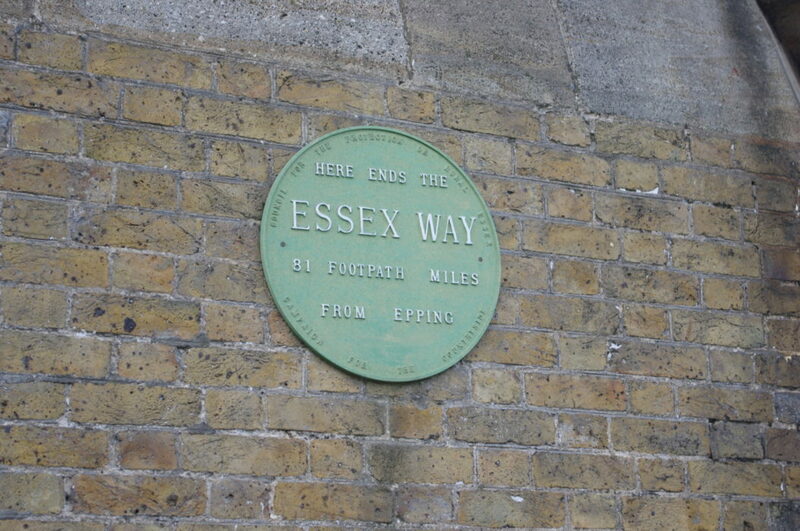 For within a few paces, you will be at the Essex Way’s end, marked by a plaque on the (inland) High Lighthouse. You can, if you want, travel straight home from Harwich Town station over the road, but it’s much nicer to wander through Harwich’s Georgian terraces for 10 minutes and enjoy the bustle of Ha’Penny pier, one of Britain’s few wooden working piers. And after a cup of tea, or maybe a pint, then go home. But come back. 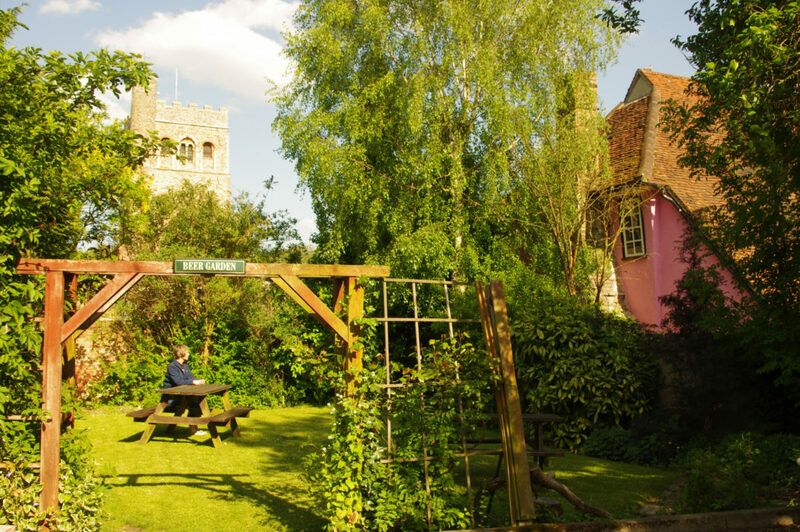 There is a lot more of Essex worth exploring, as long as you know where to look. There are good public transport options to make your life easier, from a base either in London or the county town of Chelmsford. Alternatively, there are attractive B&Bs along the route too, listed in my guide Walking in Essex.